Let your work space come alive by using the right kind of technologies. Still sticking to non-interactive environments? In this interactive world, many companies are still sticking to pssive identification and non-interactive environments. It all starts with the passive RFID based systems that are still in use. Though these systems served their purpose of identifying the person or asset based on tap or scan, it had several disadvantages. Passive RFID tags work only at a very close proximity of less than 10 cm. It is an effort to tap or swipe and wait for the access to be granted. This poses severe security concerns, where tail gating or concealing something across areas or access gates is a possibility. It’s time to move on from passive RFID tags. Active RFIDs provide flexibility of longer distance, ranging from few centimeters to meters. This kind of a longer range provides us with an ability to tune it to fix existing problems and improve employee experience with innovative new applications. This tag can be augmented to existing ID card or it can be the only ID you carry. What’s more, it is easy to make the tag cute enough to ensure that the employees feel happy putting in on. The advantages far outweigh the small change that one has to get used to. 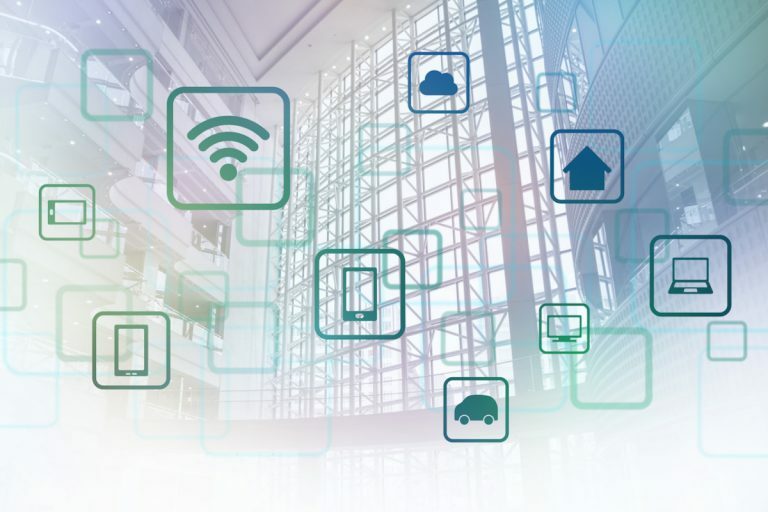 With the advent of IoT technologies it is easier to setup an indoor wireless network that activates the entire office area. Your office could be more interactive. Customization of entire work environment to suit the needs of employees is very much a possibility. Let’s see a few scenarios. Your new work space experience can start right from entrance of your office. You no longer need to tap or swipe your ID card. The doors will open automatically as the active tag interacts with the access control system and grants access. Identify and locate a person on a dynamic basis during emergency response. Emergency response teams would know how many people are located in different parts of the building, in case the situation demands a quick evacuation. You can ensure that the café keeps the food of one’s choice ready by the time the employee arrives. Your office canteen can now prepare food on the basis of number of people in the facility. At the end of the day any resource or raw material saved is revenue made! Even the payments made within the campus can be linked to the Active RFID, where money is loaded to the RFID tag and one is able to spend it by just flashing the tag. Payment systems can be made secure by one having to enter your pin number for the transaction to complete. This is to prevent any unauthorized usage. Added to this would be the trespass identification. Any individual who ventures into sensitive zones or any miscreant with wrong intentions could be caught easily. Employees could be provided with an ability to raise alarm when in trouble. This can be done even in areas like restrooms, where other security systems like camera surveillance is not permitted to operate. Concerns of having to charge an active RFID have been addressed by using intelligent algorithms that ensure that an ID powered by a coin cell can last several months. You can imagine the cost savings. Million possibilities to make your work space smarter, interactive, dynamic and safer. At Forfend, we’re working tirelessly to make systems like this a reality. Please get in touch with us to know more about how we can make your work space an interactive and dynamic space that is alive and kicking with excited and super productive employees.